Eastern Flow Concrete Pumping Pty Ltd will do it all for you whether it is concrete pumping, supplying concrete, colour placing, finishing concrete or form-work. Residential Home Loans, Residential Investment Loans, Residential Investment Loans, Self – Managed Super Fund Loans, Refinances/Debt Consolidation, Commercial loans, Trade and Equipment Finance. Offer several services such as branding, illustrating and photography. Srdjan Popovic is passionate about graphic design and he combines his skills with your ideas to create amazing and unique designs for your business. Can assist you with the following works: concrete floor deck, concrete wall, stairs and pools. Is the new destination in Australia for the devoted football fan. Born out of their enthusiasm for the sport their goal is to capture the hearts and minds of fans, clubs and individuals alike bringing you the latest and greatest in football. Not just a football retailer, they carefully curate the product range selecting only the best from the best. At Ultra Football you will discover Nike, Adidas, Puma and New Balance’s finest across the range of football boots, clothing, teamwear, equipment and replica kits. 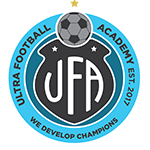 Contact us directly for special discounts for UFA players. Jurisdiction of the Consulate General of the Republic of Serbia: covers all states and territories of Australia (except ACT- Australian Capital Territory) and New Zealand.